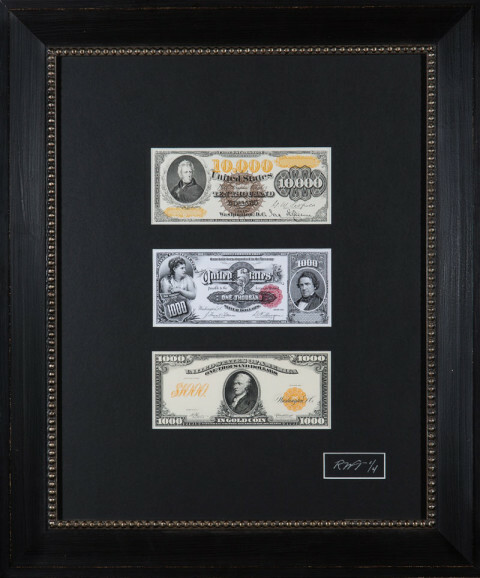 LAKE OSWEGO, Ore., Oct. 12, 2017 /PRNewswire/ -- Treasure Investments Corporation (TIC) has just released and made available Americana currency collections and scripophily for donation through its charity auction business model. Mark Russo, CEO of Treasure Investments Corporation has been helping charities raise funds since 1998. The front of an 1882 $10,000 Gold Certificate. The front of an 1891 $1,000 Silver Certificate. The front of a 1907 $1,000 Gold Certificate. 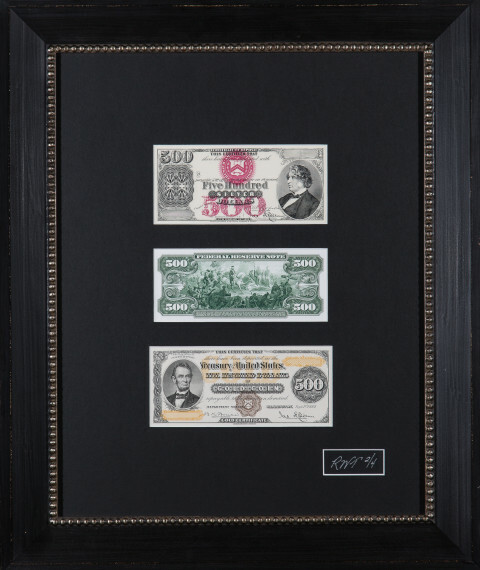 TIC frames and creates limited edition series using a combination of the different bank notes. "These incredible art pieces, once framed and matted, are absolutely breathtaking," says Russo. The U.S. Treasury stopped reprinting old bank notes in the early 1990s. When reprinted, they were used as souvenir cards for major currency shows. "I bought up every one I could find from every coin and currency dealer in the country. We have enough to build about 1000 framed pieces, giving us the opportunity to generate millions in additional revenue. 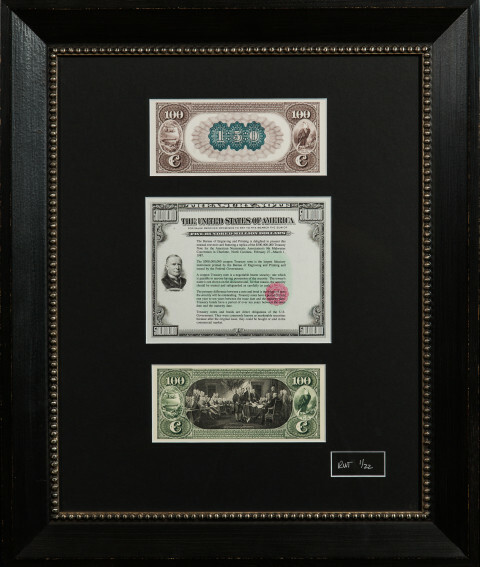 These bank notes are beautiful and when properly framed with other rare and unique notes makes for an amazing piece of fine art. 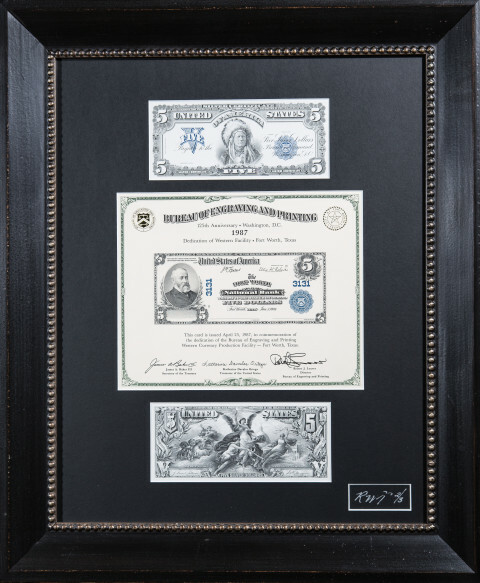 I wanted to provide something really special for the charity auction program and now with this, our old world stock certificates, and fine bronze sculptures, we really have something no one else can provide," says Russo.